The Woman-Centered University brings together many ideas that focus on the creation of a university where the needs of women are just as important as the needs of men, while also considering minority men and women. The contributors seek to move the university beyond its European-male educational roots by transforming not only the curriculum, but also the faculty and administrators, the teaching and learning process, and the university climate as a whole. These essays provide the experience and knowledge of many academics from throughout America and several other countries. 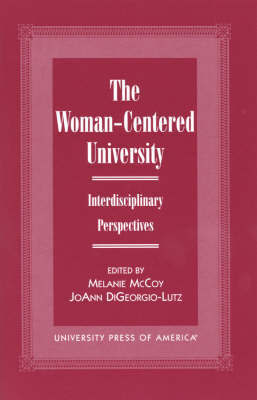 They discuss many pertinent topics, including the academic culture of African-American women professors, the differences between the compensation and satisfaction of male and female faculty, the gender-biased foundations of International Relations, the issues of women and the psychology curriculum, and how collaborative research can contribute to the formation of a woman-centered university by incorporating the female point of view. The editors bring these ideas together to begin to generate the awareness and action for the creation of the woman-centered university. Interesting, informative, and thought provoking.